Check out my latest pastel drawing, a commissioned pet portrait of a German Pinscher named Zippo, who resides in Florida. 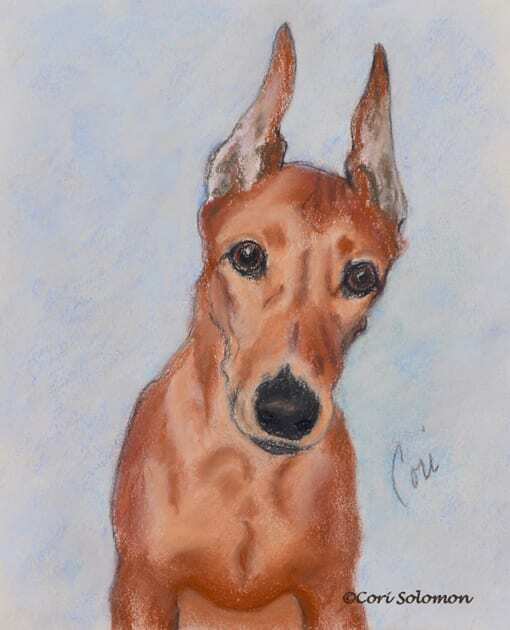 This dog portrait depicts a red German Pinscher. From my understanding, Zippo got his name because he races around all the time, especially in the house.